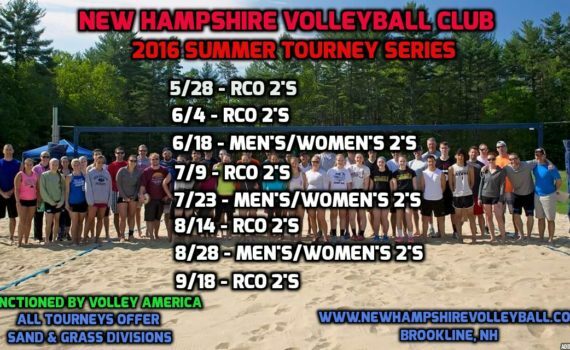 NHVBC’s 2016 Summer Tourneys Announced! 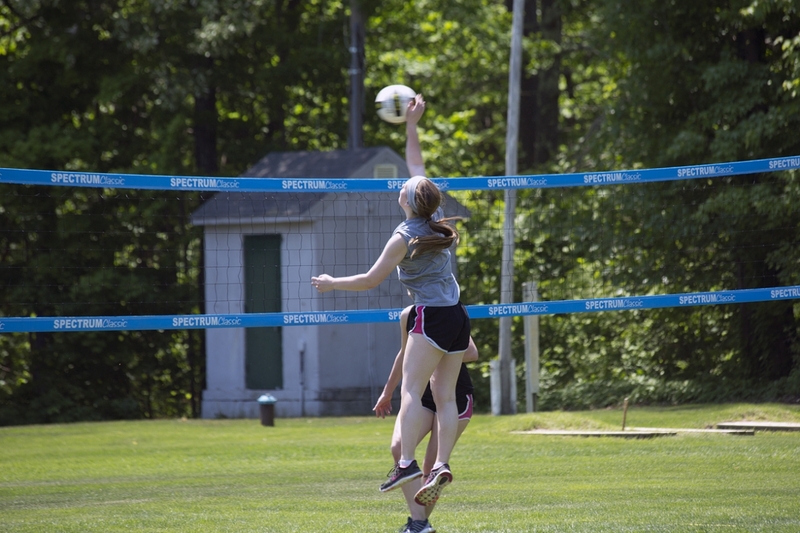 « Summer ’16 to be NAVC’s biggest yet! 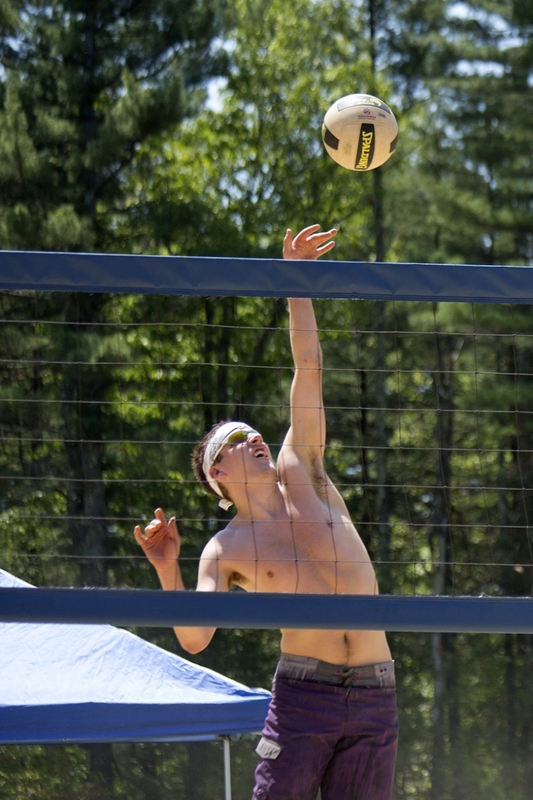 If you'd like to be updated on when new tournaments become available, sign up below to our newsletter! 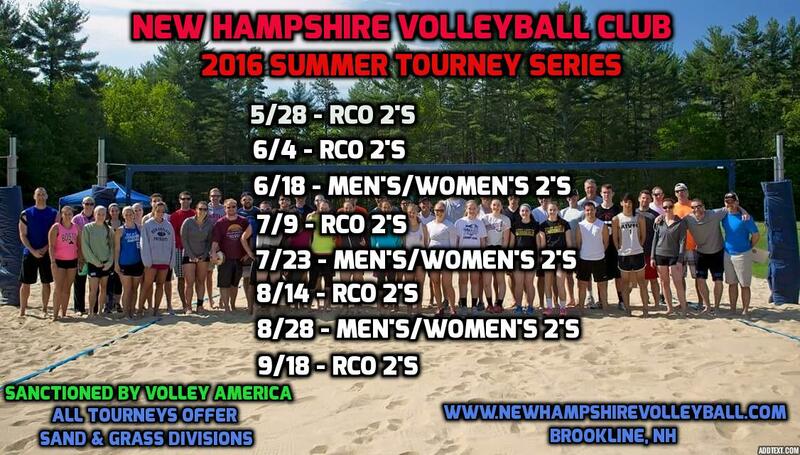 Summer ’16 to be NAVC’s biggest yet! 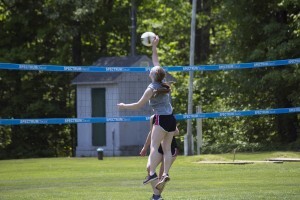 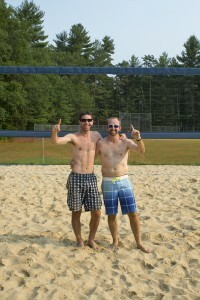 Score points this Summer through Volley America for playing in our tourneys! 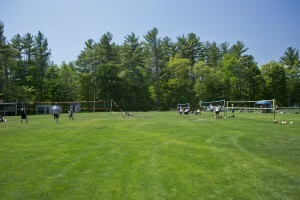 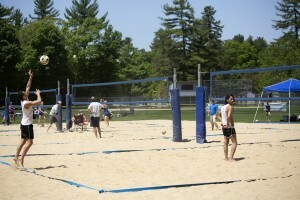 We provide tournaments, camps, and clinics for all ages and levels throughout Southern New Hampshire. 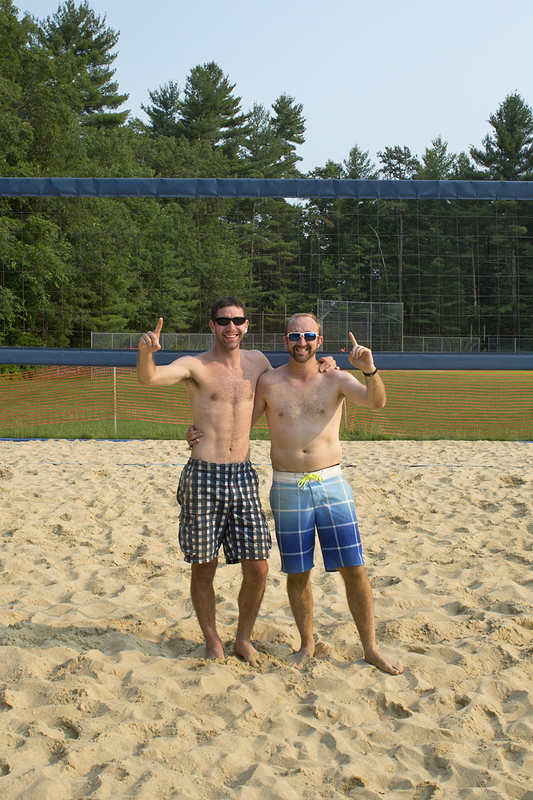 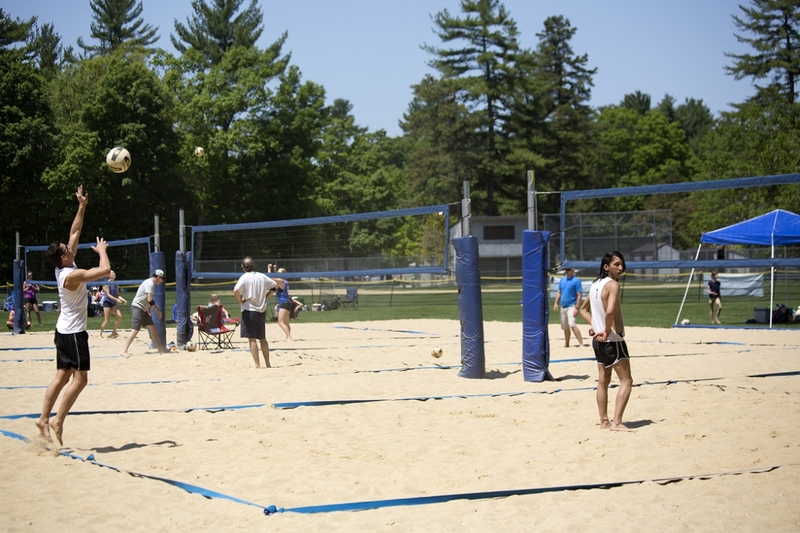 Whether you love grass doubles, beach doubles, coed 4's, or even King of Beach, we have you covered. 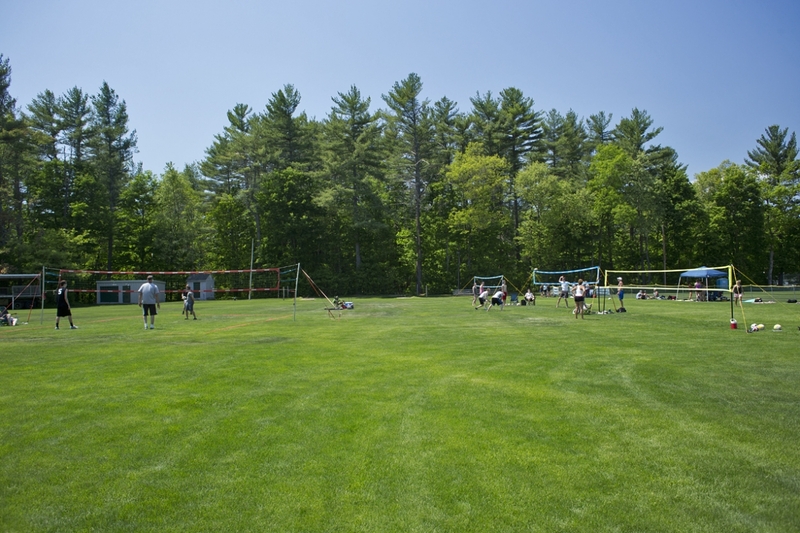 Contact us for any questions!